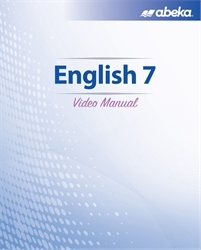 Delve into English 7 with confidence using the invaluable resources found in our English 7 Video Manual! Our video manual provides a description of the class’s activities and projects, as well as daily guides that walk you through each lesson’s preparation and expectations. This manual offers everything you need for a successful school year!